My kids love the challenge of learning a new language so we were excited to try a new-to-us language program called Middlebury Interactive Languages. 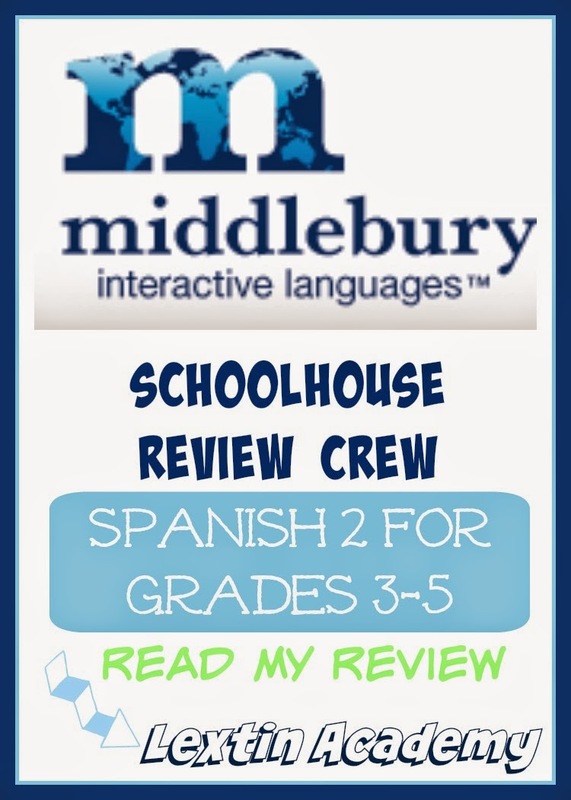 We reviewed the Elementary Spanish 2: Grades 3-5 Spanish Courses. Middlebury Interactive Languages offers foreign language learning opportunities that were designed by linguistic experts. The program uses technology to create an interactive immersion-style language learning experience for students. They have language programs for students of all ages, from Kindergarten learners to high school students obtaining AP credit. They currently offer courses in Spanish, French, German, and Chinese. We reviewed the second level of Spanish Courses for kids in grades 3-5. This program contains 45 lessons per semester. 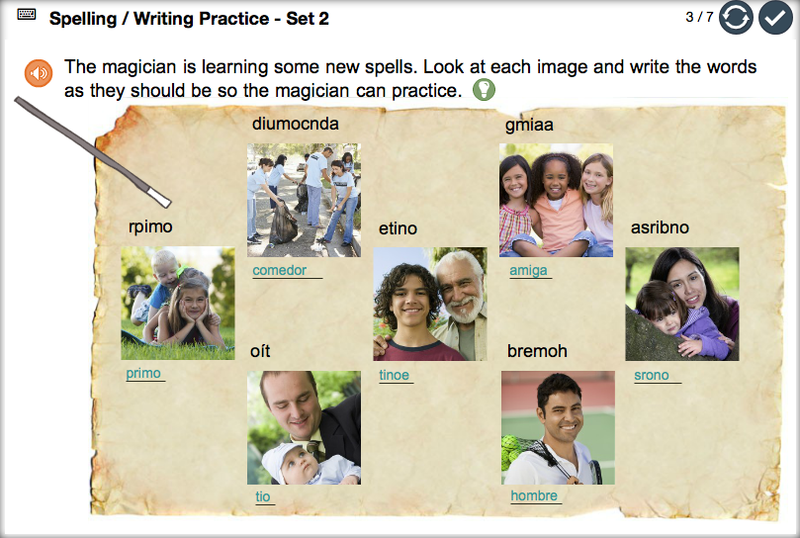 These lessons are divided into units which each have a theme and introduce different vocabulary and grammar concepts. Middlebury recommends that a student work on the program 2-3 days per week at this level. We received six months of access which equates to an entire semester of language lessons for an elementary student. All of the levels are self-paced so the student and teacher can determine what speed is right for each child. Lessons can also be completed more than once if further review and practice is needed. There is also an option to complete the course with a teacher who would provide feedback on the written assignments in the program. This is offered at an additional charge. This program was for Curly (grade 3). We were excited to try the second semester of the Spanish language course for grades 3-5. Curly has been practicing her Spanish and does know many basic vocabulary words and some simple verb forms. For this reason, I thought she would be up to the challenge of trying the second semester of course work. She worked on the program 3 days per week, usually doing a new lesson each time. On a few days she repeated a previous lesson for extra practice. 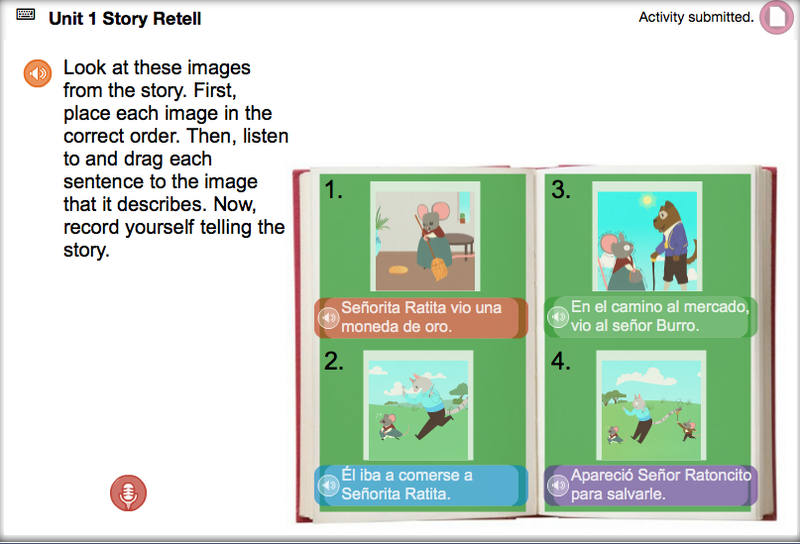 This program for grades 3-5 required the student to be somewhat familiar with grammar concepts and able to read both Spanish and English and be able to type responses into the program. Curly was able to do most of her work independently. She only needed me for help on a few of the typing assignments when she needed to type in Spanish. Each lesson had a variety of activities. 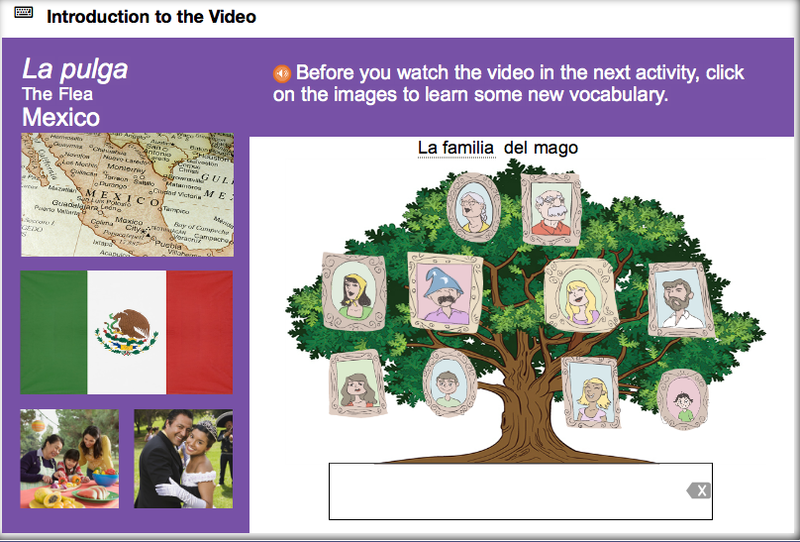 There were videos in Spanish, words written in Spanish for the student to read and then record themselves speaking, short responses to type in Spanish, and other games and matching vocabulary activities. The different units in the program focus around different myths or stories from the Spanish culture. All of my kids liked to gather around the computer and watch the videos of these stories (which were completely in Spanish). These videos were some of our favorite parts. Through watching them several times my kids were able to pick up on many new vocabulary words. In the different units, new vocabulary words are a key focus. However, there is also cultural information that my kids found interesting. Curly found that the program offered a wide variety of activities. There were games, places to match vocabulary words, and sections to record herself saying the Spanish words and phrases after listening to them read aloud. The program is colorful and fun and contains great review. I found that she was learning many new vocabulary words and retaining them through all the practice that she had in the program. 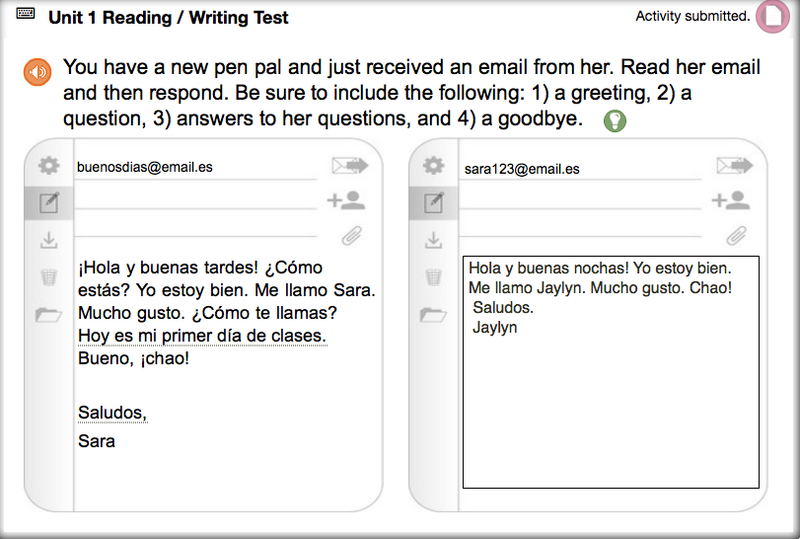 Some of the activities had Curly typing out a response in Spanish. She wrote short letters to people or wrote a response to something she read in the program. This was very challenging for her. When she was done with this section she clicked on the button at the top to signify that she was done and the program marked the assignment as complete. However, because we did not have the teacher option, there was no way to assess if Curly had done the assignment correctly. 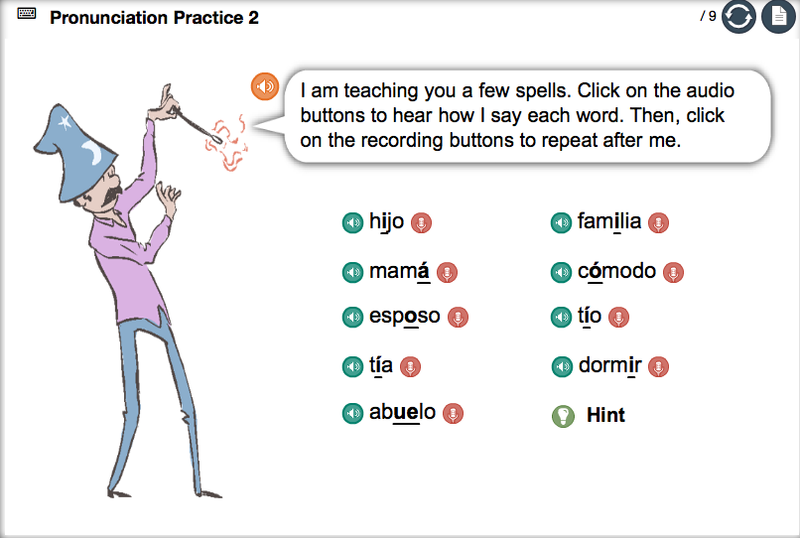 This part of the program was somewhat frustrating since there were a few assignments that truly needed feedback from an outside source who was more familiar with Spanish. The program also included places to write the Spanish words as part of spelling practice. This was very challenging for Curly as well. It was difficult for her to remember the Spanish vowel sounds in order to spell words properly. The program did encourage her to use proper accent marks but that was too much for her at this time. Middlebury is multifaceted language learning in that it has the student speak, spell, hear, watch, read, and then compose original sentences and paragraphs in another language. This is wonderful practice. However, for a student who struggles with spelling, reading, or writing in English, it is hard to be challenged to do all of these skills in a new language. I appreciated that the program was about more than just acquisition of vocabulary words, but it was definitely a challenge to integrate all areas of learning into the lessons. Curly really enjoyed this program. However, some of the typing assignments were somewhat challenging for her (especially since I was not able to truly assess her understanding after reading them). Overall, she found the program to enhance her vocabulary and grammar skills in Spanish while still having fun and enjoying the wide variety of activities. The Spanish Course for Grades 3-5 is $119 per semester.